Posted on Сентябрь 1, 2014 by Татьяна Н. 2. Why does an artist make art? 3. Do you think if artist should show life or fiction (fantasy)? 4. What kind of art do you enjoy: painting, sculpture or others? Visual art is a vast subject, including all kinds of pictures and sculptures. Artists make art for many reasons. Hundreds of years ago — when people couldn’t read — painting were often designed to illustrate stories, especially Bible stories. And a lot of paintings were made to decorate churches. More recently, artists have begun to paint to express their own feelings or explore ideas, or just to create something beautiful. People have always argued about art – how to make it, what it should look like and why. But there are no right and wrong answers. For example, some people think that paintings should look true to life. But many artists want to create more imaginative works — especially now that we have photographs to record how things look. It is common knowledge that there is a huge difference in what artists do. What kind of art you enjoy is up to you. 1. Are you interested in art? What art in particular? 2. Painting and sculpture are visual arts, aren’t they? Which of them is more exciting for you? 3. What world-famous artists do you know/like? 4. Who is your favourite painter? Why? 5. Which of the two genres — portrait or landscape painting — attracts you more? 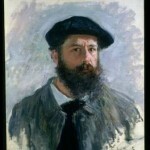 Do you know any well-known portraitists? landscapists? 6. Many artists produced pictures of scenes at sea. Can you say that Aivazovsky was a famous Russian seascapist? 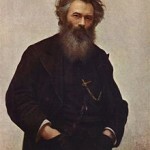 Do you know any names of his pictures? 7. Do you know any British museums? 8. Do you ever go to picture galleries and art museums? Which galleries/museums? What important picture galleries and art museums do you know in Russia and abroad? 9. Where can we see sculptures? Where are they usually placed and why? 10. Do you think photography can be called a visual art? Why? Why not? 11. Have you ever tried your hand at any of these three arts — painting, sculpture and photography? How successful were you? 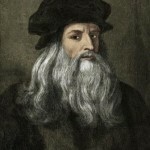 Leonardo da Vinci is famous for his “Madonna Benois” and “Mona Lisa”. The paintings “Madonna Benois” and “Mona Lisa” belong to the brush of Leonardo da Vinci. The painting called «Mona Lisa» was made by Leonardo da Vinci. 1. Listen to text №2, page 7 and match the artist and the statement. Pay attention to the key words. 1. Why couldn’t the artist earn money selling his pictures? 2. In what fields did the artist work else? 3. What famous church was mentioned and where it is situated? 4. Where did the artist usually paint? Why? 5. Where was the artist born and when did he die? 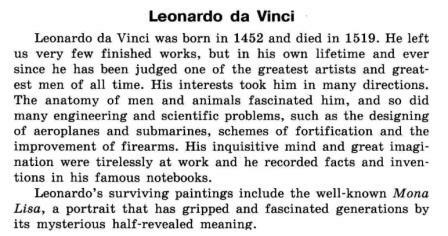 Leonardo da Vinci (1452-1519) was an Italian Renaissance polymath: a painter, a sculptor, an architect, a musician, a mathematician, an engineer, an inventor, an anatomist, a geologist, a cartographer, a botanist and a writer. 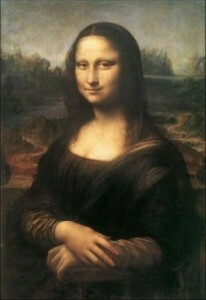 The well-know «Mona Lisa» belongs to the brush of Leonardo da Vinci. Michelangelo Buonarroti (1475-1564) was an Italian sculptor, a painter,an architect, a poet and a engineer of the High Renaissance. He made frescoes for the Sistine Chapel in Vatican. Impressionism is a style of painting developed in France between 1870 and 1900 which concentrated on showing the effects of light on things rather than on clear and exact detail. Vincent van Gogh (1853 – 1890) was a post- impressionist painter of a Dutch origin. His pictures were notable for rough beauty and bold colors, for example “Sunflowers”. Rembrandt van Rijn (1606 – 1669) was a Dutch painter notable for his portraits of his contemporaries, self-portraits and illustrations of scenes from the Bible. Ivan Ivanovich Shishkin (1832 – 1898) was a Russian landscape painter. His famous pictures are «Rye», «Grass», «Before the Storm» and others. 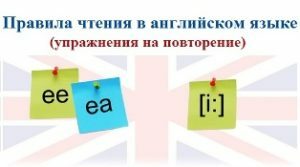 Данный тест взят из пособия Маслова М.Е., Маслов Ю.В. Кондратеня О.И.